I am FIRED UP to be teaching the Financial Learning Experience in Fairfax, VA this weekend (you should come)! Guest on the Don Kroah Show on WAVA, 105.1 FM. You can listen on-line, if you want. 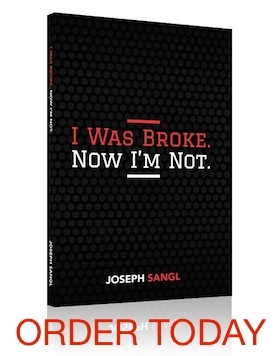 I will be talking about I Was Broke. Now I'm Not. and the Financial Learning Experience being held at Fair Oaks Church on Sunday. Hang out with family in DC. Teach Financial Learning Experience from 2:00PM – 4:00PM. It is FREE and has FREE CHILDCARE! You can register HERE. I went to the service on Saturday afternoon and must say that I was truly blessed by the sermon. It was great to hear someone talk about current monetary issues and tie it directly back to Jesus’ words! I was definitely blessed yesterday! Thank you Fair Oaks Church!